If you prefer a diet of "natural" foods and beverages, you may have heard of rooibos (pronounced roy-bos). Rooibos "tea" is a caffeine-free herbal infusion made from the South African plant Aspalathus linearis. Unlike black, green, and white teas, rooibos does not contain leaves of the Camellia sinensis plant. So it isn't technically considered a tea, even though it's prepared the same way that tea is prepared. 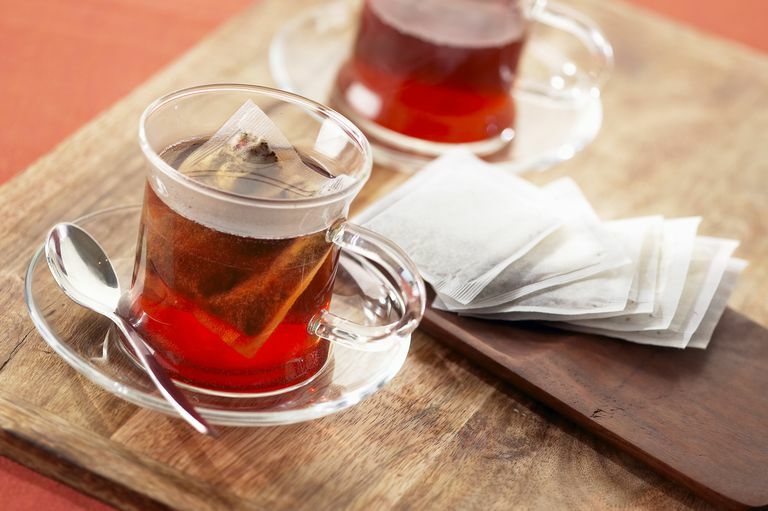 Rooibos may help fight inflammation, as suggested by the results of a 2009 study on rats. The study also appeared to show that rooibos may help protect against DNA damage from free radicals, possibly due to its antioxidant content. In addition to offering antioxidant benefits, rooibos may help strengthen the immune system. That's the finding of a 2007 clinical study that reviewed previously published animal studies of rooibos and its biological effects. The review's authors also found that rooibos is a rare source of several potent antioxidants, including dihydrochalcones, aspalathin, and nothofagin. There have been no clinical studies of rooibos and cancer in humans, so it should not be used for cancer-related purposes. Rats have been studied for this purpose, however, and a 2009 clinical trial showed some early promise. According to most sources, rooibos is considered "likely safe" when consumed orally as a beverage. However, one medical. source notes that rooibos tea may cause liver damage, although the warning is based on a single case report. There is insufficient evidence to determine if the tea drink is safe for pregnant or lactating women. Rooibos is prepared by pouring a hot liquid over the leaves (infusion). Usually, eight ounces of water is poured over 1-2 teaspoons of tea leaves. Let the tea steep for up to six minutes. Rooibos is often referred to as "red tea" and is typically sold in the tea section of grocery and health-food stores. You'll also find rooibos tea sold online and at some home goods stores. Although there's no research support for any claims that rooibos can enhance human health, you may enjoy drinking it simply because it tastes good and is pleasantly fragrant. If you're thinking of cutting back on your consumption of caffeine, you might want to try rooibos as an alternative to coffee. “Rooibos tea.” Memorial-Sloan Kettering Cancer Center (2013). Baba H, Ohtsuka Y, Haruna H, Lee T, Nagata S, Maeda M, Yamashiro Y, Shimizu T. "Studies of anti-inflammatory effects of Rooibos tea in rats." Pediatr Int. 2009 Oct;51(5):700-4. Joubert E, Gelderblom WC, Louw A, de Beer D. "South African herbal teas: Aspalathus linearis, Cyclopia spp. and Athrixia phylicoides--a review." J Ethnopharmacol. 2008 28;119(3):376-412. Marnewick JL, van der Westhuizen FH, Joubert E, Swanevelder S, Swart P, Gelderblom WC. "Chemoprotective properties of rooibos (Aspalathus linearis), honeybush (Cyclopia intermedia) herbal and green and black (Camellia sinensis) teas against cancer promotion induced by fumonisin B1 in rat liver." Food Chem Toxicol. 2009 47(1):220-9. McKay DL, Blumberg JB. "A review of the bioactivity of South African herbal teas: rooibos (Aspalathus linearis) and honeybush (Cyclopia intermedia)." Phytother Res. 2007 21(1):1-16.